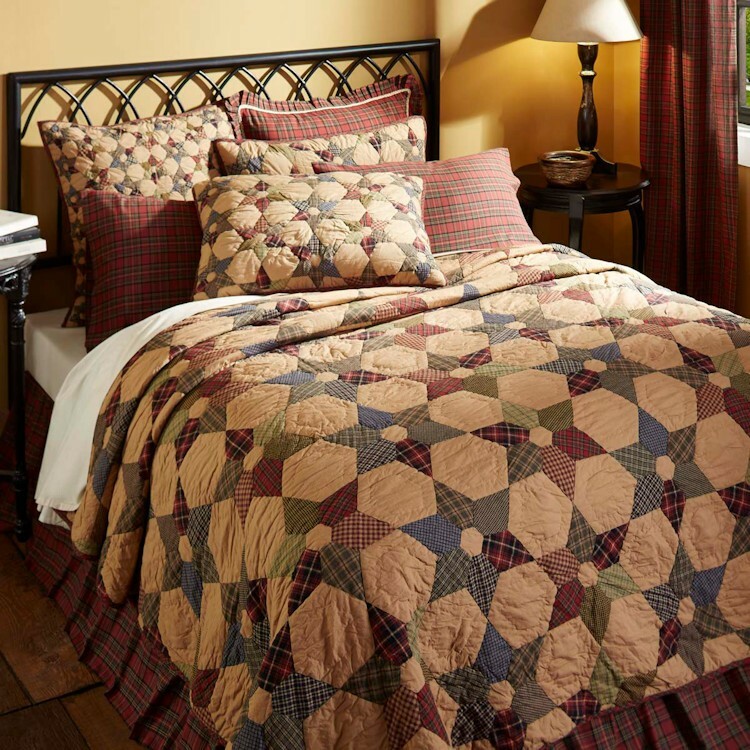 The all-cotton Tea Star Quilts bring a primitive cabin delight to your home with 6-pointed plaid stars and hexagons. 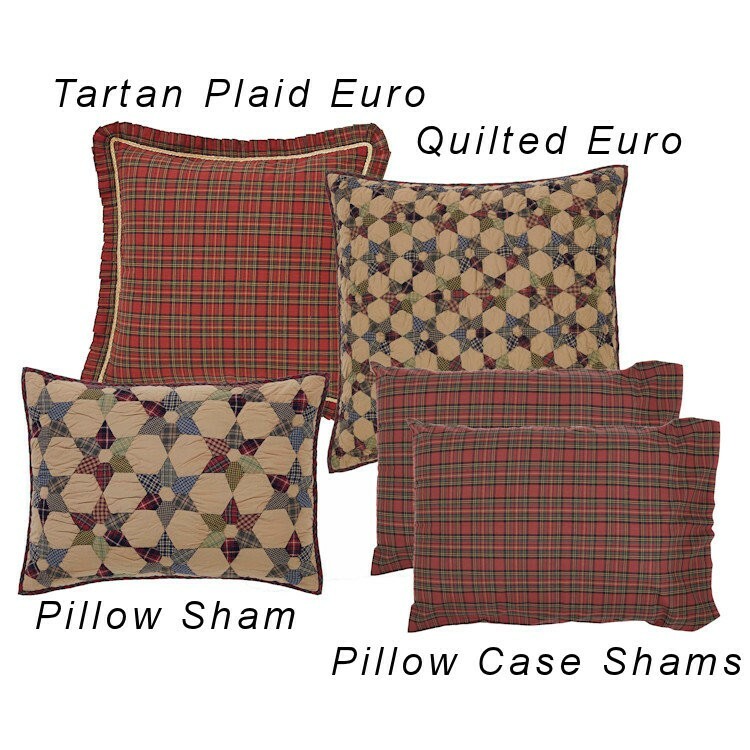 The patterns and colors of brick red, moss green, and black plaid on each star shift and change so that no adjacent star is the same. This subtle diversity adds a unique flair to its overall composition. 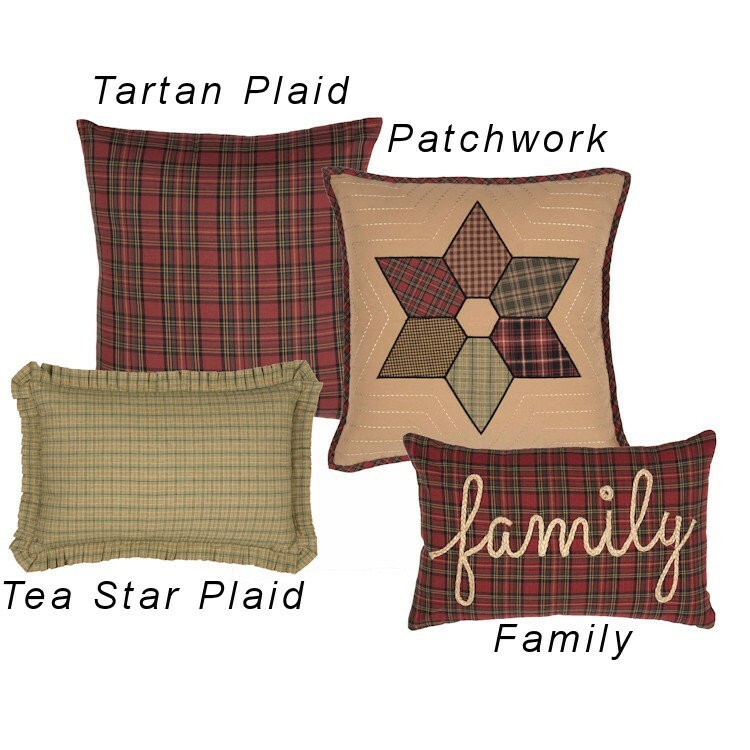 Reverses to brick red, forest green, and gold tartan plaid. 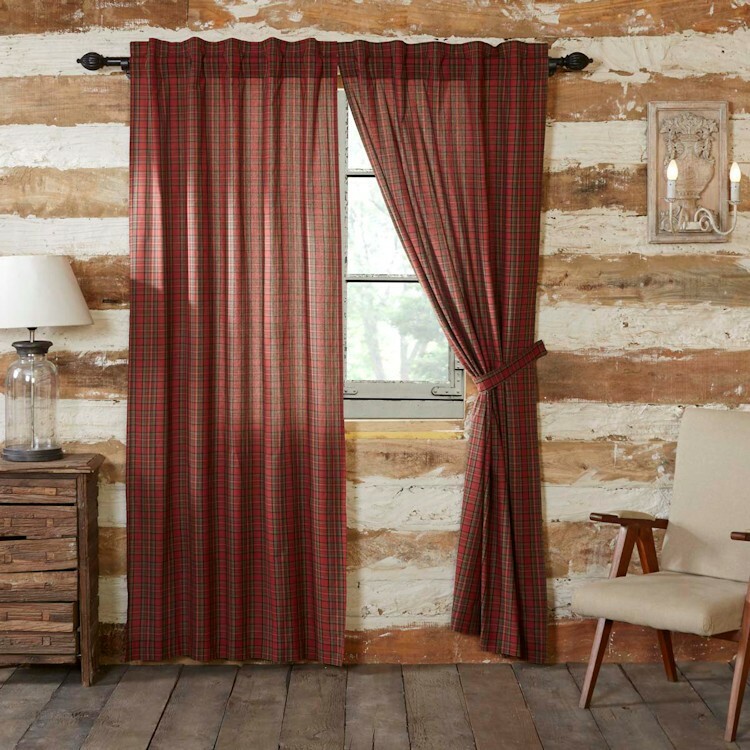 Be sure to add shams and a bed skirt for a unified look, and don’t forget the coordinating pillows, and drapes for the windows.